Donna Foote Obituary - Kitchener, Ontario | Henry Walser Funeral Home Ltd. Passed away on Saturday, March 2, 2019 at the age of 58. Loving mother to Darryl Santisteban (Taylor) and John Santisteban. 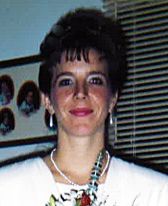 Cherished sister to Rob Foote (Linda Martin) and Darryl Foote (Debbie). Dear aunt to Matthew Foote (Kait), Ryan Foote, Emily Steele (Damian), Aaron Skirtschak, Nikole and Danielle Martin Campbell and great-aunt to Marlee & Mila Foote and Braydon Skirtschak. Predeceased by her parents Virginia and Dugald Foote. Donna's family will receive relatives and friends from 6:00 p.m. - 8:00 p.m. on Saturday, March 9, 2019 at the Henry Walser Funeral Home, 507 Frederick Street, Kitchener, 519-749-8467. Cremation has taken place. As expressions of sympathy, donations to the Sanguen Health Centre would be appreciated by the family (cards available at the funeral home). Visit www.henrywalser.com for Donna's memorial.